Well the name sums it up! I really love purple. 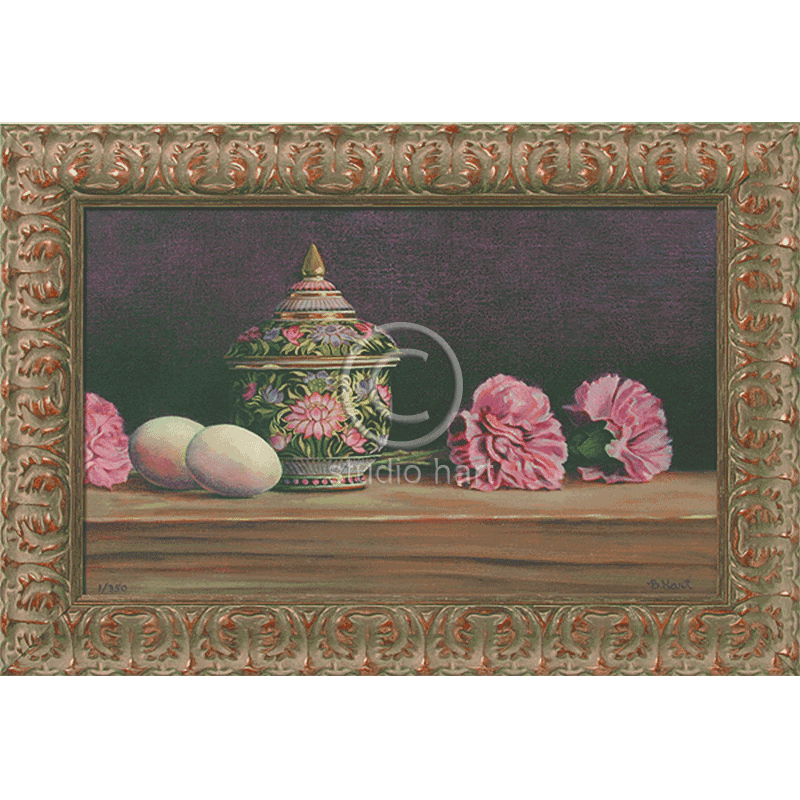 Purple Passion is a highly detailed classical still life. Why the eggs and carnations? Well, I liked they way they looked together and I had just learned a new technique for paintings eggs. The beautiful Thai ceramic was on loan from a friend and was my inspiration for this piece. Unfortunately I had to give it back. This original is available. Materials: Giclee print on canvas, mounted on board. Solid wood carved frame with gold highlights. Size: Canvas 10×16″. Framed 14×20″.